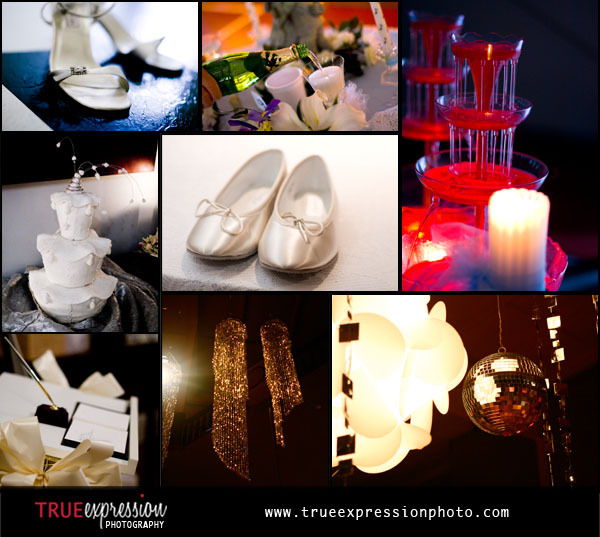 For the final installment of my series on wedding details I be will featuring a few of my favorite detail photos from 2008 wedding that haven't been featured, including shoes and cool reception details. I hope you enjoyed this wedding detail series and got some great inspiration for planning your wedding! If you haven't seen the previous posts, make sure you also check out these posts on ceremony decorations, favors, wedding dresses, centerpieces, wedding cakes and flowers.